Road base, flexible base or flex base, is finely crushed rock that serves as base material for a variety of construction projects. It is one of our core materials. We supply crushed limestone flex base and crushed concrete flex base that meets Texas Department of Transportation specifications. Foundation Support – It provide a stable foundation for houses, driveways, sidewalks and temporary roads that are used to transport heavy material to and from various job sites. It can also be used as a base material under asphalt and concrete pavement. Weatherproofing a Job Site – Flex base provides an excellent cap for a building pad or a construction site staging area, reducing lost time from rain delays. Type A – Crushed stone produced and graded from oversize quarried aggregate that originates from a single, naturally occurring source. Do not use gravel or multiple sources. Type D – Type A material or crushed concrete. 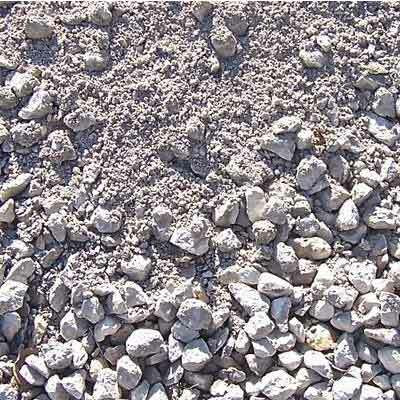 Crushed concrete containing gravel will be considered Type D material.